Highest level of service and quality at the lowest cost. "We listen to and understand customer needs in air traffic services. Our way of working meets the requirements of airports and airlines in a flexible and efficient way "
We value the drive for all employees to develop their skills as air traffic controllers and assistant air traffic controllers. High operating quality is always our guiding principle. To be one of Europe’s leading providers of air traffic control and related services. Be recognized for offering and providing air traffic services that are safe, environmental-friendly, cost-effective and profitable. 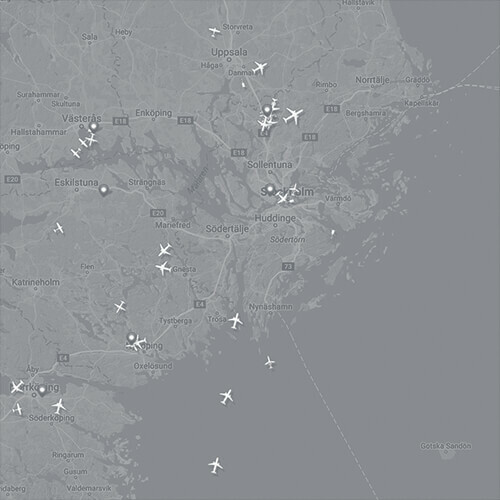 Sweden has 36 airports that provide air traffic control. 16 state airports (eight civilian/Swedavia and seven military/Armed Forces), four private owned airports (Stockholm-Skavsta, Linköping City Airport, Ljungbyhed and Ängelholm-Helsingborg Airport) and 17 airports owned by municipalities. There are six TMCs in Sweden, located at Luleå, Stockholm, Norrköping, Såtenäs, Landvetter and Ronneby. There are two ACCs, in Malmö and Stockholm. TMCs and ACCs are not subject to market competition to date. The total turnover or cost base for air traffic control in Sweden is approximately 2.0 billion SEK annually. The annual turnover for the deregulated market is approximately 300 million SEK. Leading Air Navigation Service Providers (ANSPs) in Europe shows great interest for ACR. ACR is certified under the Single European Sky regulations. This means that we can deliver air navigation services within the EU. When the home market opened up for free competition after a 2010 parliamentary decision and after winning our first three-ATS procurement, industrial stakeholders began to show interest. The international attention received after being assigned the five ATS units in April 2013 indicates a good grade for ACR. The interest for ACR has increased considerably. 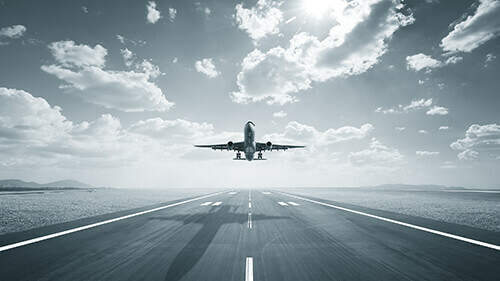 As a young company we prove that we can compete with the large providers offer airport owners very cost-effective air traffic control services. ACR's viewpoint is that future suppliers (ANSP) must be able to offer the market both customized, safe, transparent and cost-effective air traffic control services.